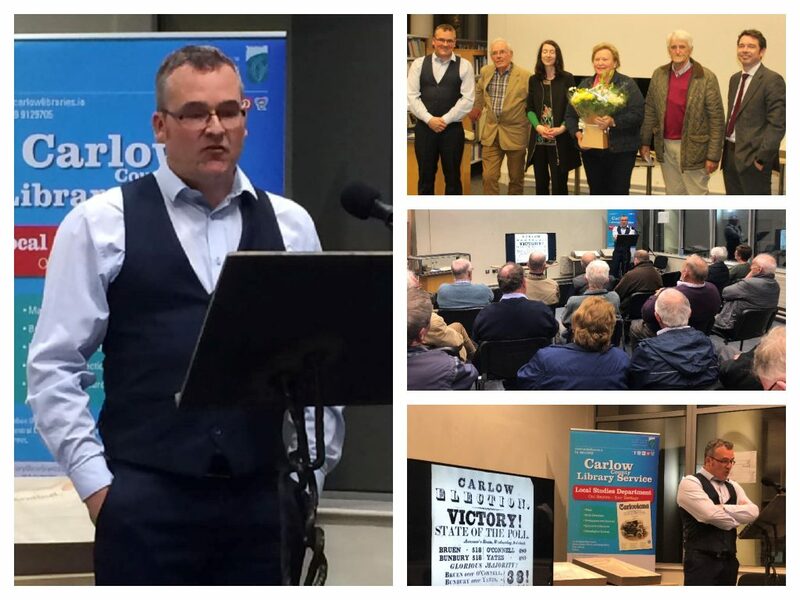 A presentation on the Jackson collection was hosted by Carlow Town Library in association with Carlow Historical & Archaeological Society in Carlow County Library on September 27th at 7.30 pm. The Jacksons were a military family based in Graiguecullen. Two brothers Adam and Robert amassed a large collection of material which remained with the family until 1859. The collection was widely varied and was both of local and wider interest. The oldest surviving document dates from 1537. The presentation by Christopher Power inculded material from the original Jackson collection and fascinating visuals of the Jackson books. The presentation outlined the history of the Jackson family and their extraordinary interest in collecting books and memorabilia. The talk also featured a presentation to John and Marie Kehoe, who recently donated a collection of papers relating to the Jackson Collection to the Carlow County Archive.